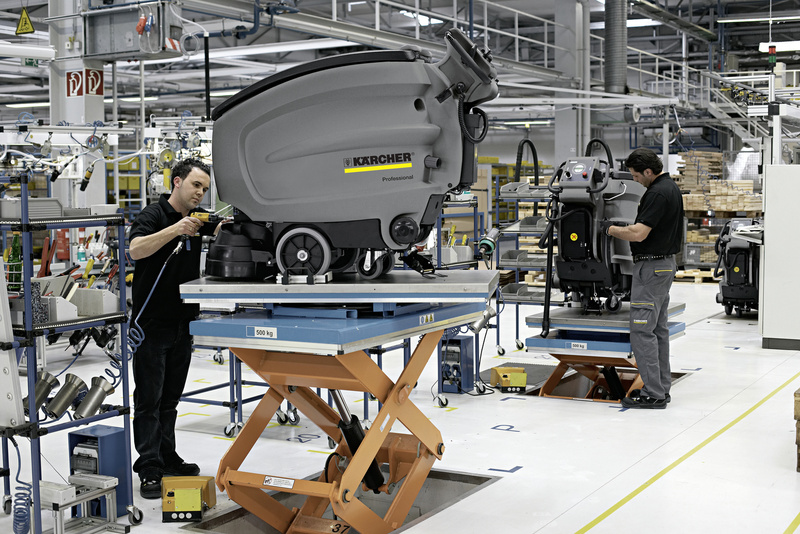 BR 40/10C 17833110 https://www.kaercher.com/ge/professional/floor-scrubbers-scrubber-dryers/scrubber-driers/walk-behind-scrubber-driers/br-40-10c-17833110.html With the BR 40/10 we present the successor of the BR 400, the most economic machine in its class. 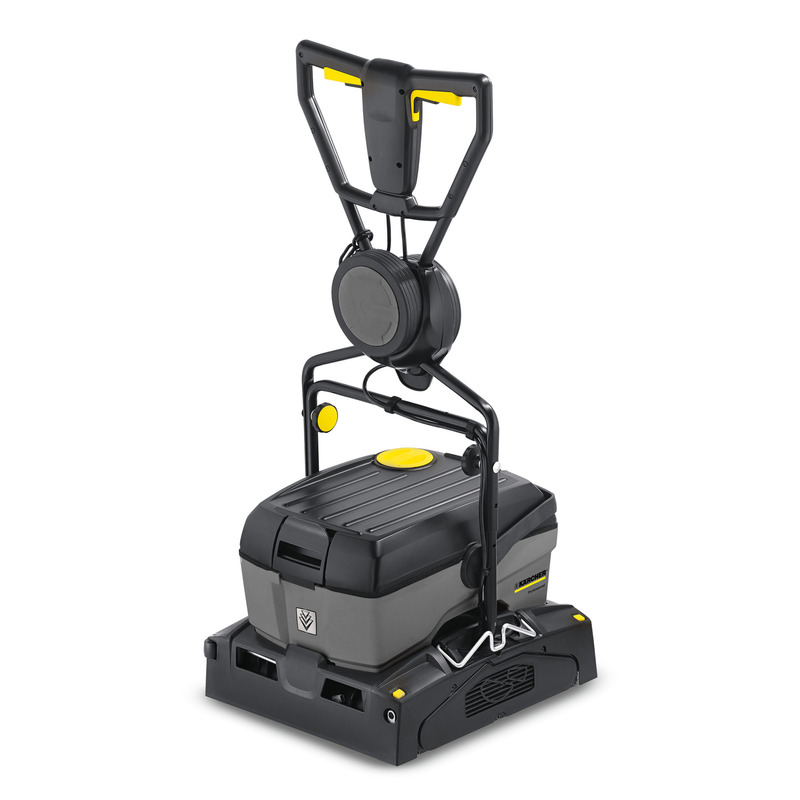 This compact and powerful machine has a working width of 400 mm and a tank volume of 10 l. The Advance version is equipped with additional transport wheels and a brush contact pressure adjustment. Two high-speed rotating roller brushes with high contact pressure. Two suction lip strips soak up the water – either forwards or backwards. The floor is dry immediately. The push handle can be folded down in both directions. For very low objects, the tank can also be removed. The suction lips and brushes are easy to replace without tools. Water distribution bar can simply be removed and cleaned as necessary. With integrated control of water inflow and brush. Perfect for carrying and storing.